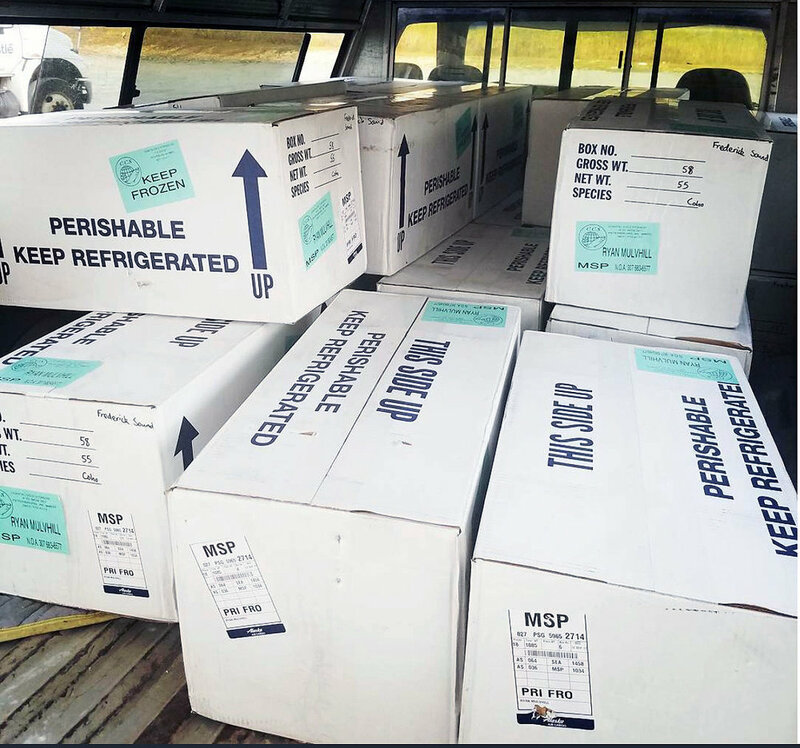 Local Entrepreneur Supplying Rochester with Alaskan Salmon Right from "Fisherman to Freezer"
Photo courtesy of Frederick Sound Fish Co.
Rochester native Ryan Mulvihill has always sought adventure. This solopreneur has been sustainably fishing the waters in southeast Alaska for the past six years, supplying Rochester with hook-caught salmon that go straight “from the fisherman right to your freezer from the same guy” with his business Frederick Sound Fish Co.
Salmon processed, frozen, packaged and ready for shipment. 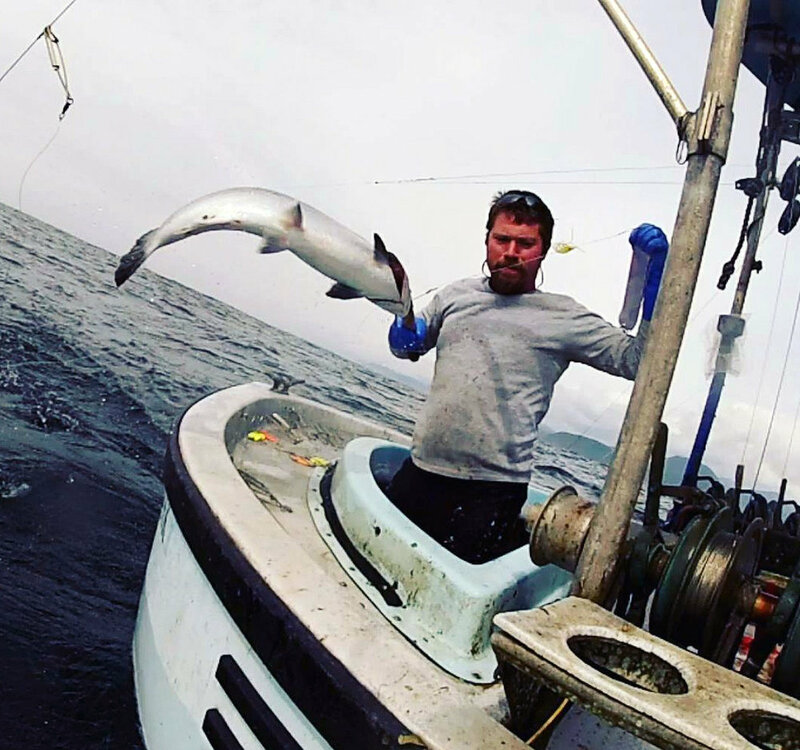 Photo courtesy of Frederick Sound Fish Co.
Mulvihill’s path to salmon fishing has traversed over 5,000 miles and nearly ten years. In 2008 he moved from Rochester to a city in the very southeastern region of Alaska, called Ketchikan, to work as a forester. After three years, he was promoted and transferred to Sheridan, Wyoming to continue in this government position. By some stroke of fate, Mulvihill was able to room with a friend’s acquaintance named Maria, who was also moving to Sheridan from Alaska. When the seasons changed, Mulvihill also met her boyfriend, a man named Lynn Steyaart, who fished in southeastern Alaska. A few years later, Mulvihill decided it was time to leave the forestry service and head back north to “The Last Frontier.” He had no definitive plan except to find work on the water. Fast forward one year later and Mulvihill is salmon fishing with Steyaart on his boat The Honeywilya. He’s been splitting his time between Rochester and southeast Alaska ever since. Mulvihill’s business, Frederick Sound Fish Co., began largely by accident. One summer after fishing in Alaska, he brought some of his salmon back to Rochester, cooked it up for some friends, and everyone wanted more. He thought, why not bring back even more fish the following year and try to sell it? Mulvihill has been selling his salmon under Frederick Sound Fish Co. for close to three years now in Rochester. 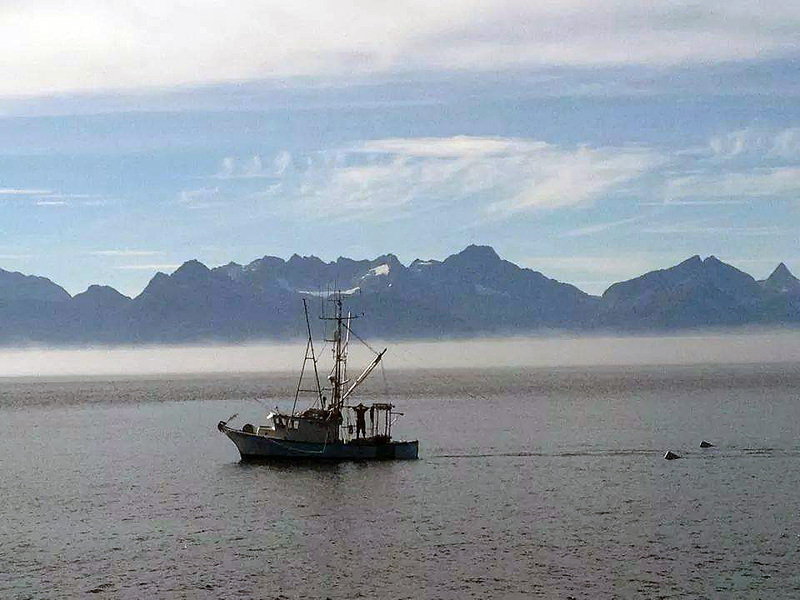 Mulvihill spends May through September each year fishing in the Frederick Sound, a narrow channel of the Pacific Ocean that separates Kupreanof and Admiralty Islands in southeastern Alaska. He fishes for two of the five types of salmon that live in the Pacific: King and Coho. Mulvihill is a power troller, meaning he catches salmon on fishing lines, not in nets, a more sustainable fishing method with little bycatch. Think of trolling like hook and line fishing on steroids. First, Mulvihill and his fishing partner (which for the first few summers was Captain Steyaart and now is a man named Captain Eric) hook giant poles up to The Honeywilya. From these poles, they drop steel lines with about eighty individually baited hooks into the water, which are drawn through the sound by the boat. Once a fish is hooked, large springs that connect the lines to the poles begin to bounce, signaling that it’s time to pull in that line. On a good day, they can bring in upwards of three hundred fifty salmon. The fish are all gutted and gilled right on the boat and cleaned out with seawater. The salmon are then packed in ice and processed in Alaska. Mulvihill sells the majority of his catch before ever leaving the state. He then flies the rest of the salmon, frozen, to Rochester. September through December are again extremely busy for Mulvihill, this time with selling his salmon. “Everything I own is in this fish,” he explained. Business for Frederick Sound Fish Co. originally grew by word of mouth. 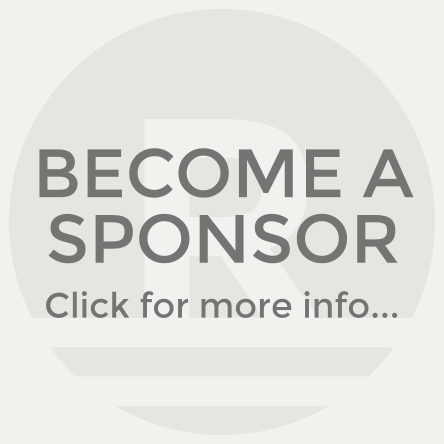 Now each summer that Mulvihill returns to Rochester, he has an ever-expanding list of clients ready to purchase the salmon. He chuckled that sometimes this part is a bit mysterious and even “sketchy.” He has a website where people can find more information about the fish; however, customers typically call him to purchase the salmon and he usually hand delivers it, right to the buyer. The Honeywilya. Photo courtesy of Frederick Sound Fish Co.
“I’ve met people all over to get a fish,” he laughed. Besides organic growth, Mulvihill’s participated in a few events with his fish at local restaurants. This past November, he also was a part of the FEAST! Festival and Tradeshow local food marketplace. Mulvihill knows that he’s providing a valuable, sustainable product. He witnesses how each fish is treated, right from the hook through the transportation and delivery. He takes particular pride in the care they take in cleaning the fish and keeping their fishing boat sterile. “Since we’re doing it ourselves, we really take our time because everyone knows it’s my fish,” he said. Now, Mulvihill’s educating himself on the ins and outs of food laws in Minnesota and will perhaps develop a new, tasty twist for his business in the near future.